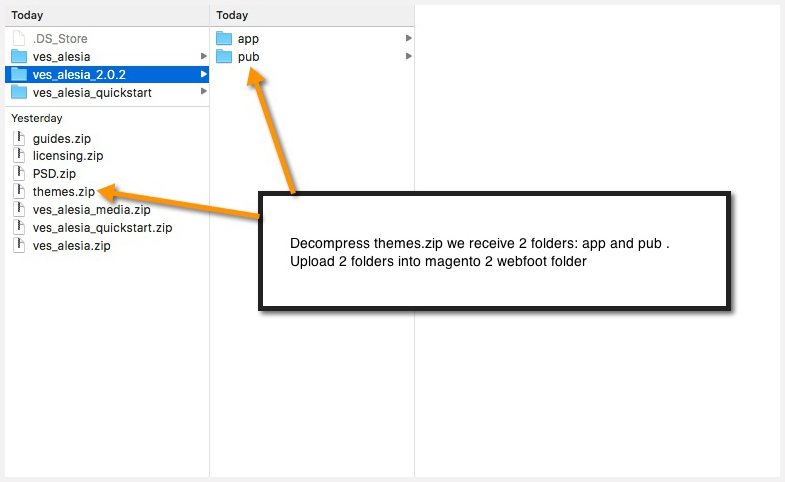 Extract the file which named the file “themes.zip”. 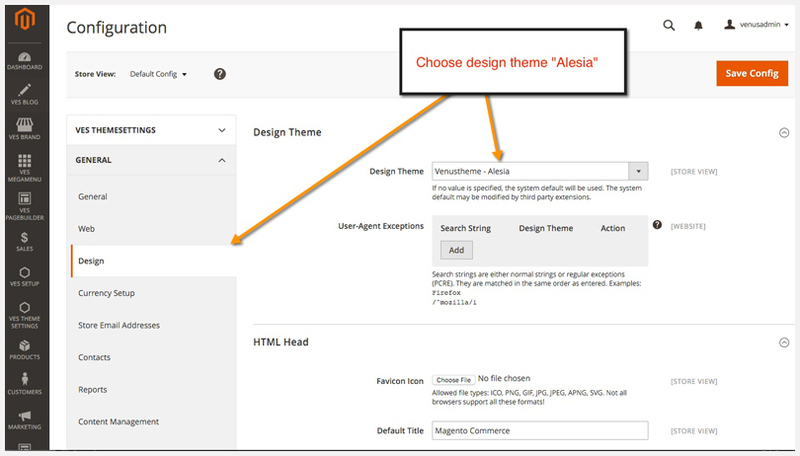 For example: ves_alesia_2.0.2. 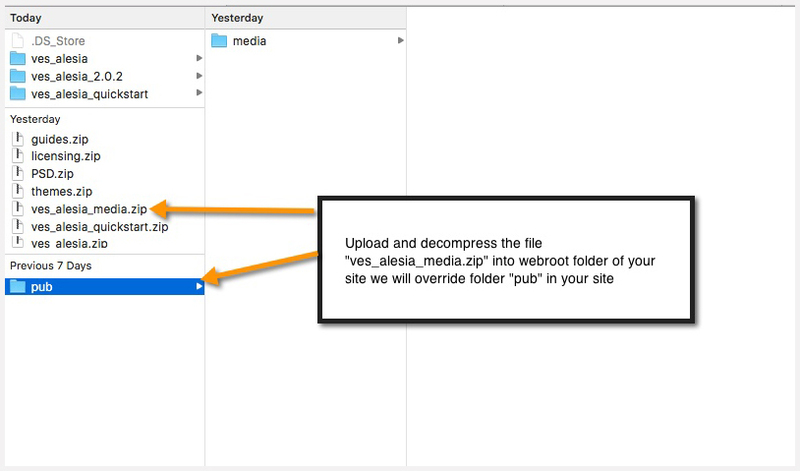 Extract the file ves_alesia_media.zip and upload it into webroot folder. Please go to your site. It will require you run command code to setup upgrade. 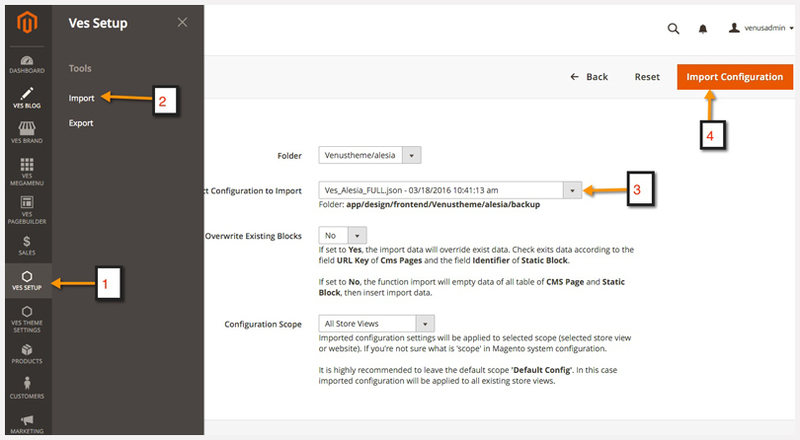 In the next step, please go to admin panel >> Ves Setup >> Import >> Choose profile “Ves_alesia_FULL.json” then click on install configuration button. 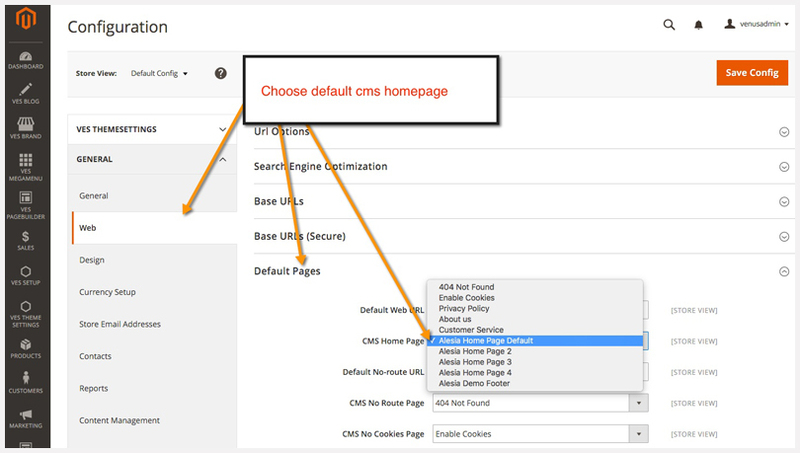 Go to admin panel >> Stores >> Configuration >> General >> Web >> Default Pages >> Choose default cms homepage.